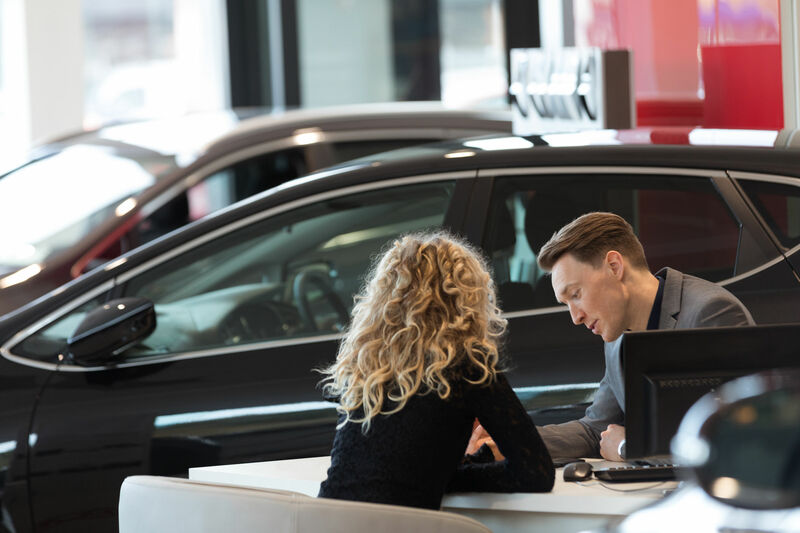 Between historically low unemployment, few job seekers interested in retail automotive careers and other factors, dealers face a variety of challenges when it comes to hiring quality employees. And now dealers are facing added competition for top talent from innovative brands in the automotive space such as Tesla and Waymo. Despite a recent round of layoffs, Tesla has major plans for continued growth. To date, Tesla has more than 125 retail locations and 75 service centers. And Tesla also has a team known as “Tesla Rangers,” mobile technicians who complete minor service at customer locations. These Rangers offer convenience to customers and free up service bays for Tesla technicians to complete more complex service on site. But the more technicians – and other employees – Tesla hires, the stiffer the competition will be for dealers to attract and hire top talent. On January 22, Waymo, Google’s self-driving car spinoff, announced plans to build a 200,000 square-foot manufacturing center and hire up to 400 employees in Detroit over the next five years. This move has the potential to significantly impact the talent pool in Detroit, the epicenter of the retail automotive industry. Both Tesla and Waymo are buzzworthy technology brands and their names alone can be enough to entice millennials and other young job seekers to apply to their open roles. But rather than feeling threatened by hiring competition from these brands, your dealership should embrace this as an opportunity to boost your recruitment marketing efforts and attract quality, engaged candidates. Consider the tips below to get started. Tesla and Waymo might have immediate brand recognition in the eyes of both consumers and job seekers, but your dealership also has many options to build a strong employment brand that will excite top talent about your open roles. Your employment brand enables your dealership to sell quality talent on the opportunity working for your team presents. This goes above and beyond simply highlighting your salary and bonus structure, as top talent today is looking for far more than an exchange of time for money and you need a compelling answer to the “What’s in it for me?” question. Your employment brand should include strong, SEO-friendly job descriptions, a compelling career site, defined career paths across departments a comprehensive list of benefits and continuous job openings. Given the competition for talent in retail automotive, your dealership should also make an effort to stand out through employment awards. Automotive News has an annual awards program, “The Best Dealerships to Work For.” The annual awards program recognizes dealerships across the country that have established excellence in areas including leadership, corporate culture, role satisfaction, training, pay and benefits and overall engagement. And many cities have local “Best Places to Work” awards. For example, if your dealership is based in the Detroit area – where Waymo plans on hiring hundreds of employees – Crain’s Detroit and the Detroit Free Press both have “Best Places to Work” lists and inclusion on these lists can help encourage local, engaged job seekers to join your team. By building and maintaining a strong employment brand and career site, you can attract engaged applicants who are interested in growing their careers with your team. And as a result, this will lead to increased productivity and profitability at your dealership. Any strong employment brand highlights employee testimonials and success stories. On your career site, share feedback from employees – either written or via video – about why they enjoy working for your dealership. Also encourage employees who have had a great experience with your dealership to share their feedback on review sites such as Glassdoor. In these testimonials, make sure to include employees who have risen through the ranks at your dealership – such as an entry-level service technician who is now a service manager. Doing so will help job seekers better understand the long-term career opportunities of working at your dealership, encouraging them to apply. When it comes to employee feedback, Tesla doesn’t exactly have a stellar reputation. In December, Wired released a lengthy piece, “Dr. Elon & Mr. Musk: Life Inside Tesla’s Production Hell,” highlighting Elon Musk’s intimidating attitude toward engineers and technicians and his tendency toward “rage firings.” Many employees are encouraged to avoid directly crossing paths with Musk, as an unexpected encounter could endanger their careers. Other stories have come out in recent years highlighting key drawbacks of working at Tesla. While the brand might be seen as an innovative company to work for, many employees would be much better off working elsewhere – including at a local dealership. If a job seeker sees your compelling employee testimonials and reviews, then reads an article about Tesla’s hostile work environment, they’ll be more likely to want to work for your dealership. Some job seekers might be intrigued at the idea of working for Tesla or Waymo over a dealership because they’re well-known technology companies. But in many cases, working as a technician at either of these brands isn’t much different than a technician role at a dealership. Many job seekers have the misconception that working as a service technician at a dealership means changing oil and tires and other “wrench turning” tasks. In all your employment brand materials – including your career site, your job descriptions and any information that is shared at local job fairs or related events – you should make it clear that working as a service technician is a much more skilled job than most think it is. With the modern technology in most vehicles today, key responsibilities of dealership service technicians include repairing sensors, high-tech engines and other technology found in most new cars today – similar to the responsibilities of working as a technician at Tesla or Waymo. At least one dealer has even gone so far as to say today’s service technicians have similar skills to computer engineers.